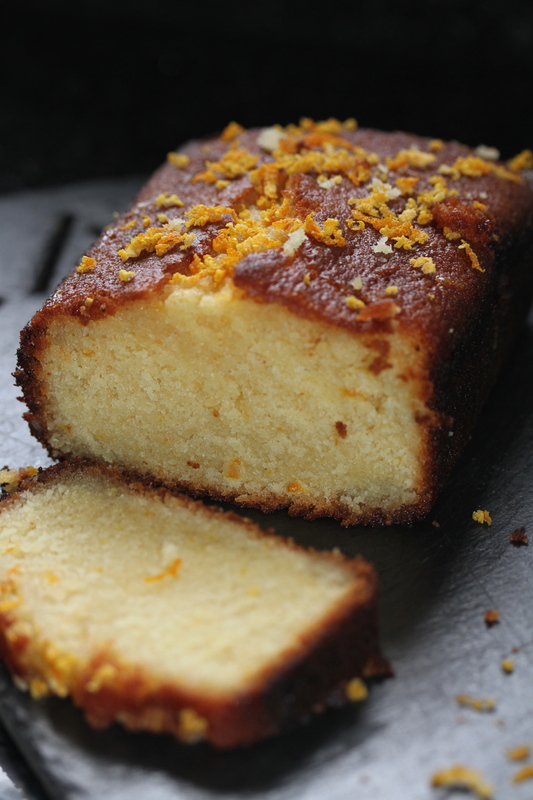 So for second bake I made The first Signature Challenge of The Great British Bake Off 2015 a Madeira cake or Mandarin Cake as I have been incorrectly calling it. This cake reminded me of the cake I entered into 4th Great Abergavenny Bake off competition as has very similar ingredients such as ground almonds and orange. The difference between the two cakes was that the one I made earlier in the year had no flour where as this one did. Unusually the recipe I used for the Madeira Cake contained plain flour with baking powder rather than self raising flour as you often see in cake recipes. To make the cake it was like making up a simple cake mixture but with ground almonds and orange juice and orange zest added. The orange juice and drizzle that is added once the cake is made makes it a very moist cake and I had a crack on the top as Mary Berry said I should.